These images are all taken with a Canon 450d and a 50mm lens. This sits on a Star Adventurer tracking mount, which allows me to take between 12-20 x 2 minute exposures to generate the final image. 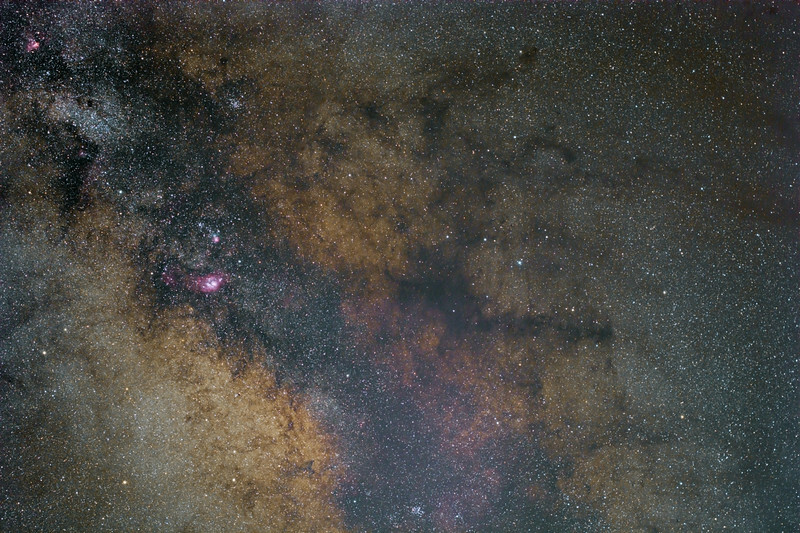 This is a shot of the center of our own Milky Way, between Sagittarius and Scorpius. This was taken on holiday in Crete with a Canon 450d/50mm/Star Adventurer.